The launch of the next Landsat Earth-viewing satellite in 2023 will be preceded by a smaller spacecraft to map the planet with an infrared camera under a new land imaging roadmap outlined by NASA and the U.S. Geological Survey. The pair of new satellites will take over from Landsat 8, which launched in February 2013 and is stocked with enough fuel for a 10-year mission. The White House’s budget request for fiscal year 2016, which begins Oct. 1, would fund the development of a new satellite named Landsat 9 for launch in 2023. NASA has responsibility for building, launching and testing the Landsat 9 spacecraft. The USGS will take over control of the satellite after it is in orbit, then disseminate and archive the land imaging data. Landsat satellites have amassed a catalog of multi-spectral, moderate-resolution imagery of the world’s land masses since the first spacecraft in the series launched in 1972. 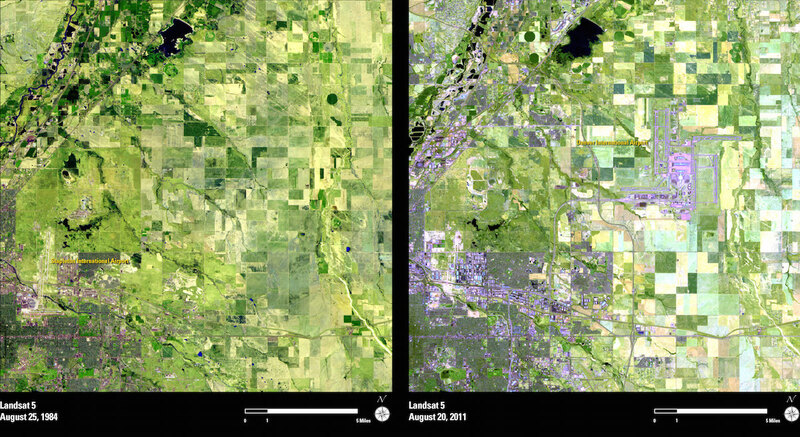 Researchers and policy makers use Landsat data to track water resources, deforestation, agricultural production, urban sprawl, wildfire damage and the retreat of glaciers. “This is the longest consistently processed time series from space that the (human) species has acquired,” said Michael Freilich, director of NASA’s Earth science division. The sustained land imaging program outlined by the Obama administration is a strategic shift from how the federal government handled Landsat missions in the past. The budget proposal calls for NASA and the USGS to immediately start development of two satellites to take over for Landsat 8 at the end of its mission. 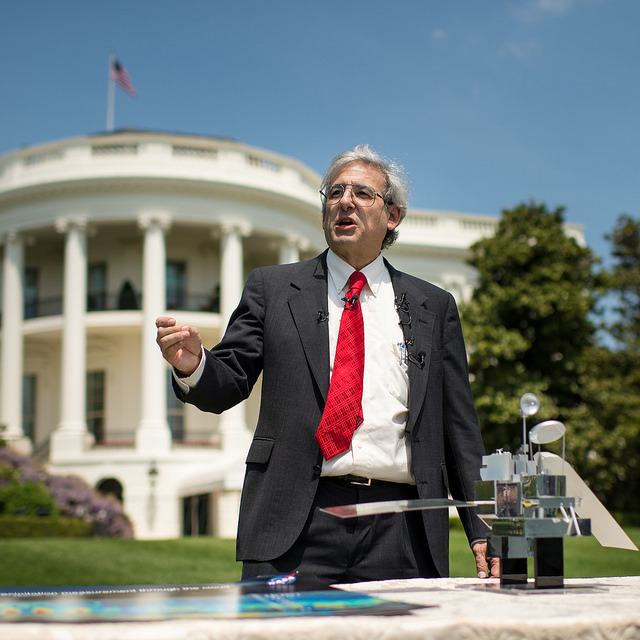 “The president’s budget now has a full-blown land imaging system, multi-mission and multi-decadal, as opposed to just the next one,” Freilich said. The first replacement craft would launch in 2019 with a thermal infrared imaging instrument, taking over for a sensor aboard Landsat 8 that has encountered trouble with its primary electronics chain. 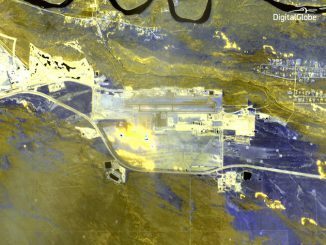 Landsat 8 is designed for a five-year lifetime, but the satellite launched with a thermal infrared sensor guaranteed to last just three years. The thermal infrared instrument was a late addition to Landsat 8, and it is optimized to help manage water resources, especially in the drought-stricken western United States. 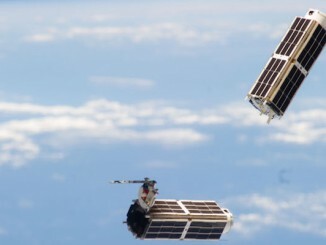 The infrared payload, known by the acronym TIRS, ran into a problem with its primary electronics system in December. Ground controllers switched the instrument to its backup electronics circuitry in March. “The (thermal infrared) measurements are the weakest and least mitigable part of our land imaging measurements right now,” Freilich said. NASA plans to build and launch a new thermal infrared instrument aboard a dedicated spacecraft and rocket as soon as possible, perhaps as soon as 2019, when the aging Landsat 7 satellite sent into space in 1999 should run out of fuel, according to Freilich. The polar-orbiting “free-flyer” satellite will fly in formation with Landsat 8 or one of Europe’s Sentinel 2 land imaging satellites to bridge a gap in thermal measurements, Freilich said. The next step will be Landsat 9, which should be ready for launch in 2023. With technological updates, the thermal sensor on Landsat 9 will be expected to last five years, not three. Congress has asked NASA if it can develop, build and launch Landsat 9 for less $650 million. Landsat 8 cost $855 million, and NASA officials have said a clone of the previous spacecraft would likely come in above the $650 million cap specified by lawmakers. Under the Obama administration’s budget proposal, NASA is also authorized to study upgraded and miniaturized systems that could be incorporated in a follow-on Landsat 10 satellite for liftoff around 2030, with an aim to decide on Landsat 10’s design in 2019. “We have recognized for the first time that we’re not just going to do one more, then stop, but that Landsat is actually a long-term monitoring activity, like the weather satellites, that should go on in perpetuity,” Masek said in a press release. 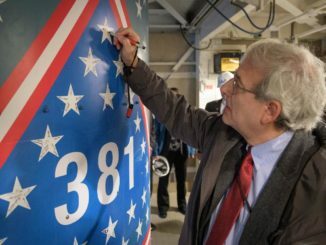 While Landsat 9’s launch in 2023 comes five years after its predecessor ends its five-year prime mission, officials expect Landsat 8 keep going into the 2020s, reducing the risk of a possible data gap. “If you look at the on-orbit lifetimes of the Landsat missions, and indeed other related missions, a five-year design life goes out to typically about 11 years,” Freilich said.